Fantastic Beasts: The Crimes of Grindelwald Review: A horrible mess of a movie – AiPT! Fantastic Beasts: The Crimes of Grindelwald is written by J.K. Rowling and directed by David Yates. Yates directed the first installment in the Fantastic Beasts series as well as the final four Harry Potter films and Rowling needs no introduction. With these two at the helm of this sequel, how could it possibly go wrong? The answer should be that it can’t and it doesn’t. Somehow, The Crimes of Grindelwald isn’t just mediocre; it’s flat out terrible. The film begins with the notoriously evil Gellert Grindelwald (Johnny Depp) escaping prison as he’s being transferred from New York to London. The opening scene wasn’t that thrilling and was a bit cheesy, which was unfortunately a sign of things to come. I’m not going to dive into the specifics of the plot in this review. What I will say is that the script is surprisingly bad. The dialogue throughout is cliched and painfully generic. The plot jumps around so much that half the time you’re slightly confused and half the time you’re just annoyed that nothing seems to be getting developed properly. Speaking of development, there is such little character development. Newt and Tina’s relationship barely develops at all. There is one touching moment between them but it doesn’t feel completely earned, which is a recurring problem in this film. Nothing feels earned, because it isn’t developed enough to have the emotional impact one would hope for. Jacob and Queenie are barely together in the film, and Queenie’s actions in the film don’t make much sense at all. There’s no development in what happens with her and therefore what happens with her later in the film doesn’t even make much sense. There also aren’t any exciting set pieces, chase scenes, or interesting action scenes to make up for the lack of character development and the convoluted plot. Grindelwald is a decent villain, but he doesn’t do enough to make me fear him much. He has a couple moments of evil-doing, but he also is not given the development he deserves. The stakes also don’t feel high. Certain characters are barely explained or show up for a minute and disappear. I feel like if Rowling had focused more on diving into the characters and zoning in on a central, less jumpy plot, this could have been at least entertaining. 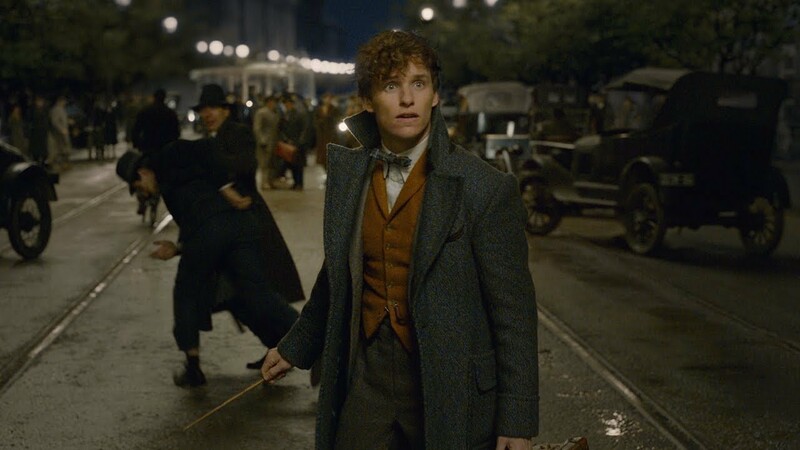 The only positives I found were that Jude Law was quite good as a younger Dumbledore, Eddie Redmayne was solid again as Newt, and Zoe Kravitz’s character Leta Lestrange was actually decently developed. We see Leta’s backstory throughout the film and have a somewhat emotional payoff later in the film because of it. Also, there are some great references from Harry Potter that pop up throughout the film and will definitely provide as fun easter eggs for fans. Otherwise, I’m truly shocked and disappointed at how bad The Crimes of Grindelwald is. It’s the first time Rowling has faltered in my opinion, and it’s a big misstep. I’m not quite sure how they can course correct from here for the rest of the films in this series, but a possible starting place is focusing more on the characters, their development and their relationships with each other, and then focus on a less convoluted plot where we’re actually invested in what’s going on. Fantastic Beasts: The Crimes of Grindelwald severely disappoints with a surprisingly awful script from J.K. Rowling that is convoluted, dull, and without heart.